The season of blustery winds and chilly temps is upon us, and here at Greek Gear we are prepared for just that! Our mission is for you to stay warm, comfortable, AND fashionable this fall and winter. We offer everything you need to do just that. Here are a few of our cold weather favorites this year. Our Sorority Bow Pullover is a new addition to GreekGear.com! They are Anorak Pullovers that are lightweight and pack into a pouch so they are easy to store and carry with you. They are wind and water resistant which make them perfect for walks across campus in the rain, plus they have a flannel inner lining to keep you cozy. Another bonus? The adorable monogram and bow design on the front! Make this accessory your own by choosing your jacket color, stripe color, bow color and monogram color! Check them out HERE. 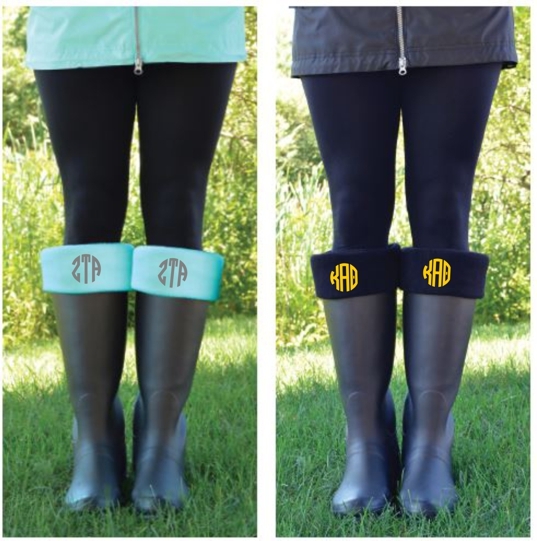 Another monogrammed item on the cold weather must-haves list! Keep your toes warm with our Sorority New Englander Boot Socks. They come in 4 different colors and sport your Sorority’s letters on the front. They are antimicrobial and the fabric is made of anti-pill fabric on the front and backside of the fabric. Unfortunately boots are not included, but we have a feeling you will like these socks so much that you will run out and get a pair anyway. 😉 See them for yourself HERE. There is nothing comfier than an oversized jersey. These are perfect to wear to class, to events on campus, or with friends. They let you stay warm and cozy while you rep your letters. Our Sorority Game Day Jerseys feature giant monogram Greek letters printed on the back with simple Greek letters on the left chest front. Great to wear over leggings! Pick yours out HERE. Speaking of leggings, here is a must-have pair for every legging-loving sister! Our Ladies Leggings have your letters printed on the hip. What a great, comfy, subtle way to wear your letters. Grab a pair HERE. Netflix isn’t the same without a cozy blanket to snuggle up in. 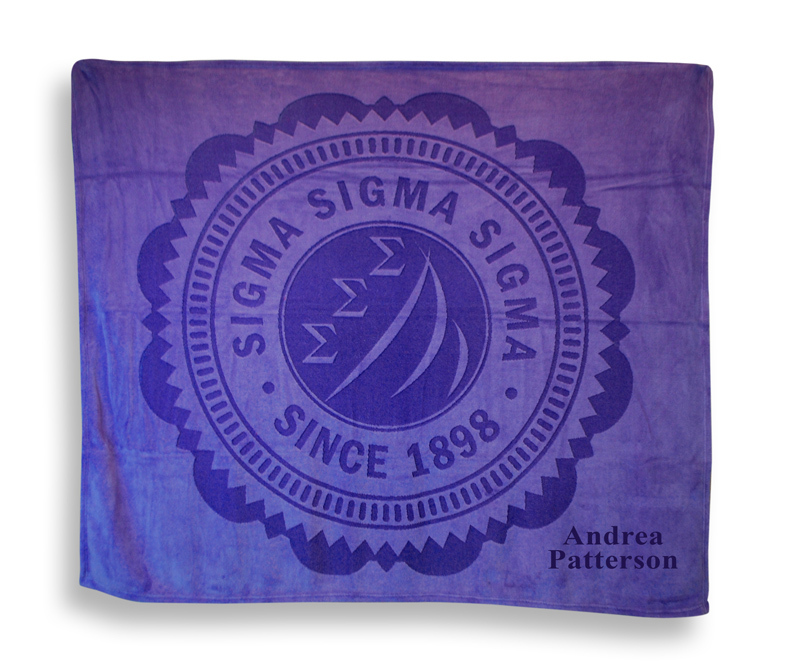 Keep the cold out with our Sorority Mega Plush Laser Blanket! These blankets are so soft and warm, and they make for a great dorm room/bedroom accessory. They come in a selection of colors and with a line of personalization. These also make for great gifts! Pick one out HERE. Consider yourself ready for fall! For more cold weather Greek gear or to stock up on everything Greek, head over to GreekGear.com.